Our first ever Winshuttle User Group conference just concluded in New Orleans, Louisiana. I’m happy to report that it was an absolute success! We’ve had in-person Winshuttle user group meetings in conjunction with Sapphire before, but this is the first one where our users expressly traveled and spent two days at our user conference. Hearing our users, who are always such vociferous champions of our solutions, talk enthusiastically about how they use Winshuttle and how they love our products and our services, was a very energizing experience. 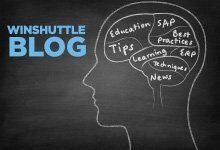 I met so many users who want to do so much more with Winshuttle now — they found new ways to apply our products while talking to other users or while attending some of our training oriented sessions. As we presented our new Winshuttle 10 products and some of the new use cases that these products enable, I saw our customers and partners very engaged and excited about these new products. It was a very gratifying experience and I felt really proud of our product and engineering team. Most important, thanks are due to the customers and partners who spoke on our behalf, the customers and partners who attended, and the partners who sponsored the event. 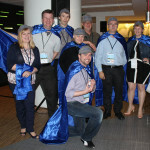 Also, thank you to the entire Winshuttle team for having done such an excellent job of putting the event together!